Spencer Whittier had an early wake-up call Wednesday in Asheville, N.C., but the cyclist had no complaints about how he'd spent his morning after riding to victory in the USA Cycling Cyclo-Cross National Championships. 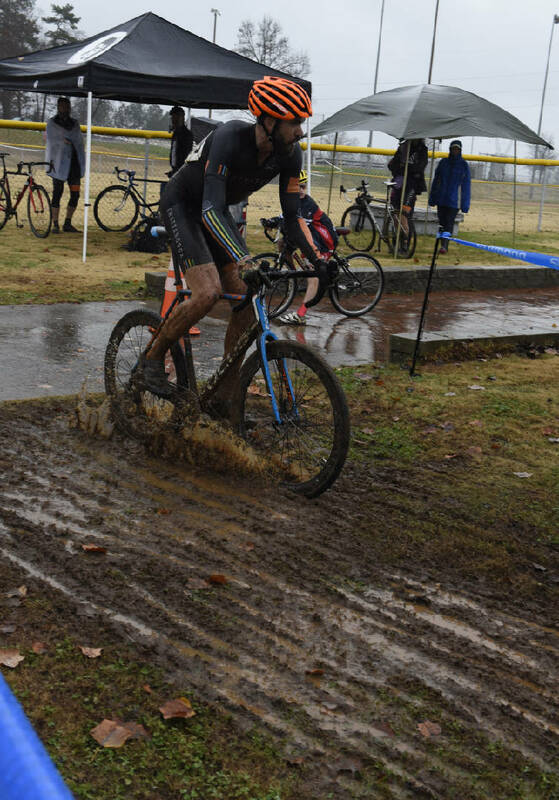 The St. Elmo resident took the lead on the next-to-last lap in the Masters 30-34 race to earn the title in his first attempt at a national championship for cyclo-cross — a blend of road and mountain biking that takes competitors over varying terrain while negotiating obstacles. "I'm used to racing in the afternoon, and we started at 8:30 this morning," Whittier said. "I was dealing with my hands going numb and my feet going numb about halfway through. "That's certainly one of the more painful parts." Whittier recovered from a crash on the first lap of the 3.3-kilometer (2.05-mile) course and rode in a pack with the top contenders for the bulk of the race. After the lead group dwindled to four or five riders, Whittier made his move on the big climb of the penultimate lap and held on to beat second-place finisher Toby Swanson by 21 seconds. Whittier's wife, Ali, and other Privateer Cyclocross teammates were among those cheering him on in freezing temperatures. "It was a very technical course and had a lot of elevation change," he said. "It was interesting conditions because the ground was frozen this morning. As the day goes on, the ruts will get more (slippery) with mud after it thaws out. "I do pretty good in the mud, but it would have been a totally different course if it had been thawed." Whittier has been riding cyclo-cross since 2011, and he and his wife helped start the Privateer race team that has six riders competing at the national championships this year. Ali Whittier will race in the women's Masters 30-34 race today, and local riders Susie Farmer, Dave McDaniel, Jim Farmer and Brian Hackathorne also will be in competition at the event, which runs through Saturday. Whittier felt confident going into Wednesday's race, but with competition from all over the United States, he wasn't sure exactly what to expect. "I had a good feeling that I could get a top five and be on the podium for this race," he said. "I hadn't raced all the guys that are here, but I thought I had a good shot at top five and winning was in the cards. "I wasn't going into it thinking for sure I could win, because any of the top eight or nine guys could have won." The win gives Privateer bragging rights as the team looks to keep growing the sport of cyclo-cross in Chattanooga. The team sponsored a race in Cleveland in 2015, and Whittier's national championship is a big reward for all the miles he put into preparation. "This just validates all the training I've done all year long and all those nights when I didn't want to get out and ride my bike in the dark," he said. "It is really special, and I don't know that it's totally sunk in yet. "It's really cool to be able to share this with my wife in a sport that we both love doing. It's really neat, and I'm very happy." Contact Jim Tanner at jftanner@bellsouth.net. Follow him on Twitter @JFTanner.